We know that our team members aren’t going to change the world just by getting on a plane and traveling around Uganda for two weeks. They’re there to learn from our Ugandan staff, build relationships with people in the communities that they visit, and come back with stories and experiences that they can share to mobilize their friends, family members, coworkers, and neighbors in the fight to end Uganda’s water crisis. But we also want the members of Team #26 to walk away, knowing they made a tangible, lasting impact in this crisis themselves. 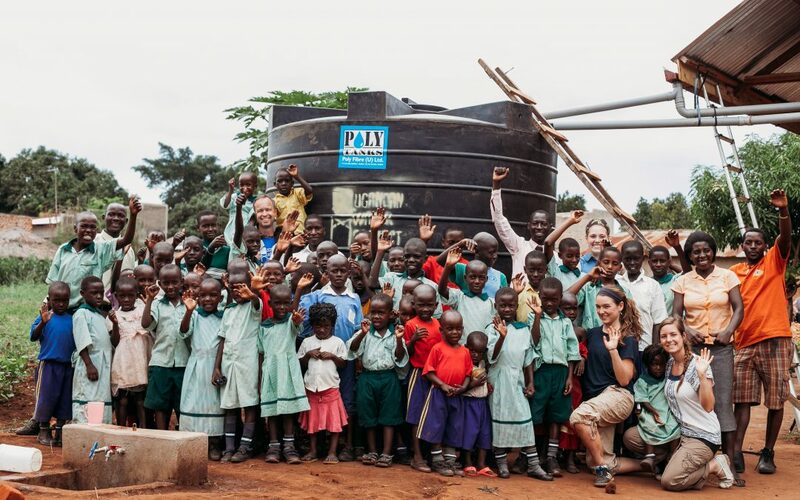 That’s why, as a team, they’re working to raise above and beyond their basic trip costs so that they can fund the installation of a rainwater collection system in Uganda– a project that will provide clean water to up 500 children or 100 families for 20 years!